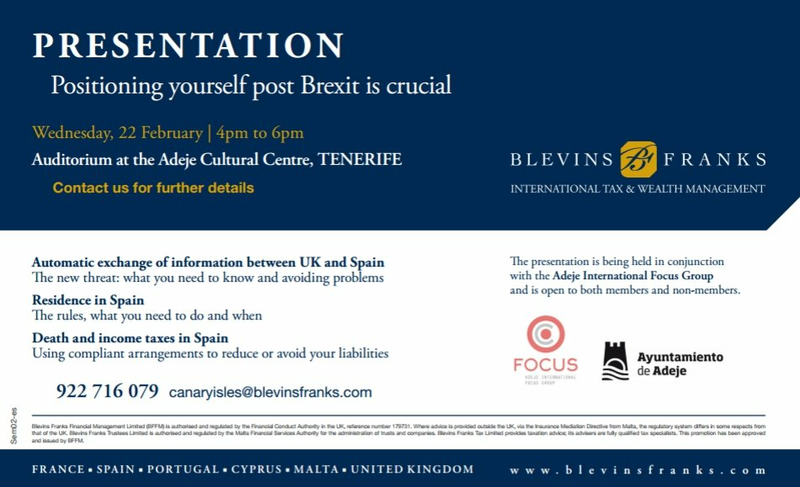 For anybody who is concerned about their future as a Brit living in Spain after Brexit, then get yourself to the Adeje cultural centre next Wednesday for a free presentation on how to best protect yourself. The talk will be given by reputable financial advisor for Blevins-Frank, Pauk Montague, who will discuss issues such as residence, exchange of information between Spain and the UK and death and income taxes. The meeting will be held in conjuction withe the Adeje International Focus group from 4pm t0 6pm.